The Best Permanent Hair Straightening In Sydney! Everything you need to know about Permanent Hair Straightening, Japanese Hair Straightening and poker straight hair! The first thing to know about Permanent or Japanese Hair Straightening is that it is very different from a Keratin Hair Treatment. At Lily Jackson Hair & Makeup we offer both Permanent Hair Straightening AND Keratin Hair Smoothing. 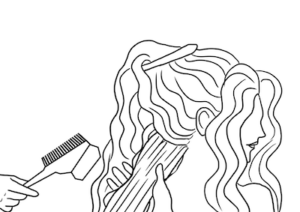 The second thing to know is that the term Japanese Hair Straightening is a collective term referring to hair straightening systems that are patented ie have some part of their process which is different. Essentially all permanent hair straightening systems work on the same premise being the bonds in your hair that cause curly, wavy or frizzy hair are restructured. 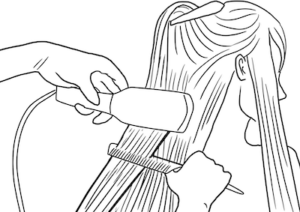 But not all permanent hair straightening systems are Japanese (if that makes sense!). 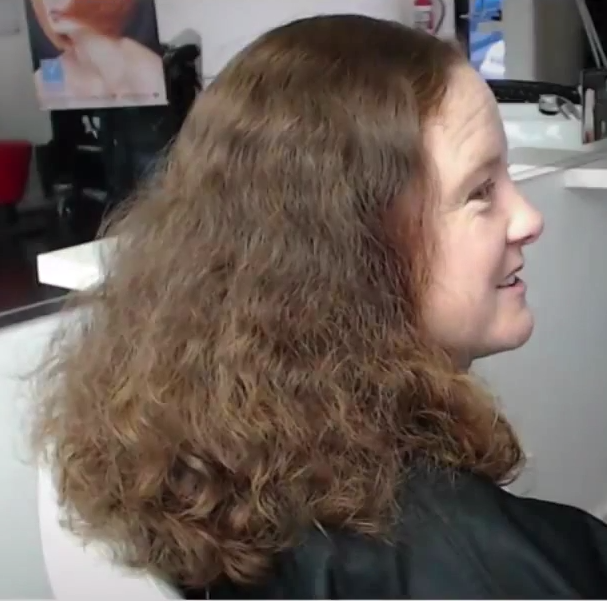 At Lily Jackson Hair & Makeup we offer a Permanent Straightening and Rebonding System, which is designed for those wanting to transform their curly or frizzy hair to long-lasting, low maintenance, shiny, hassle-free straight hair. The solutions used in the Straightening Rebonding Technology reshapes and permanently straightens the hair by physically changing the internal structure of the hair. The treatment ensures safe rebonding and deep conditioning to make it manageable and shiny. During the service we apply heat with a flat iron, creating a permanent straight shape. This is very different to a Keratin Hair Smoothing Treatment which we also offer and one of our experienced stylists can help guide you in making the right choice. 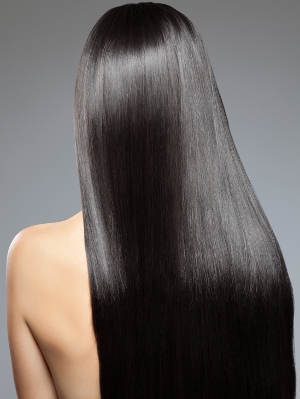 What’s so special about our Hair Straightening? The brand of hair straightening we use is Keune Hair Straightening. 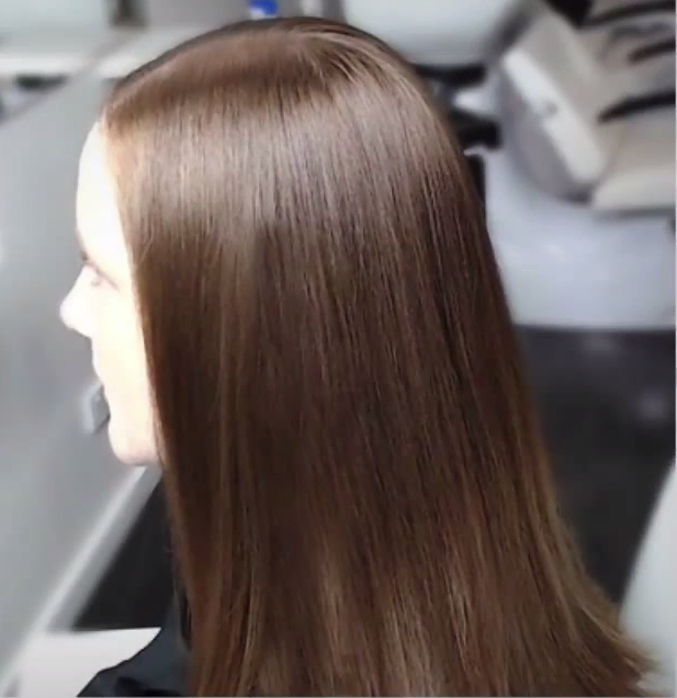 In addition to being a state-of-the-art hair straightening system, the Straightening Rebonding system is also a recognised technique of restoring health to hair. It’s 100% formaldehyde-free and enriched with keratin and silk protein. The Keune Permanent Straightening cream with Kera-glide compleX ensures safe rebonding and optimal conditioning during the treatment. The neutralisation cream re-balances the hair to ensure bonds are closed. This brand we offer is suitable for every hair type and is available in 2 formulas: Normal and Strong. 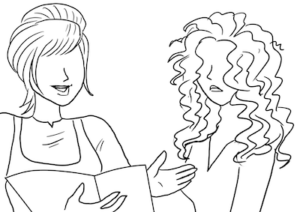 Here is a summary of the steps involved in a Permanent Hair Straightening Rebonding service. One of our experienced hair straightening experts will consult with you about your hair history, the chemical services you have had performed on your hair, check your hair type, dryness and damage level. If your hair is deemed strong enough, we take a small sample of hair and perform a strand test. Within 48 hours you will receive the results of your hair strand test and a written quote outlining the price and time required to perform the service. Do not was your hair today as your hair must be completely dry. Hair Straightening cream is applied to your hair in section and left to process for a specific amount of time that was established during your strand test. The Straightening cream is rinsed off completely. After rinsing, the stylists will then blow dry the hair. Step 4 - Ironing, Neutralising and Styling your new straight hair! Ironing the hair at this point permanently creates the straight shape. A neutralising cream is applied to the hair and is allowed to process for a short period of time. This solution conditions and finalises any further processing of the newly straightened hair. We rings this off again and we blow dry and style your hair straight. Voila! You now have straight hair. Typical shoulder length hair takes 2 -2.5 hours to permanently straighten. You should try to keep your hair as straight as possible for 1 week: avoid using clips, putting hair behind ears or propping hair up with sunglasses. Sleep on your hair rather than lifting it off your neck onto the pillow. Do not colour your hair for at least 2 weeks after your straightening service. Use the recommended shampoo, conditioner and treatments to maintain the condition of your hair. When blow drying your hair, always blow dry with the nozzle pointing downwards to smooth the cuticle of the hair.